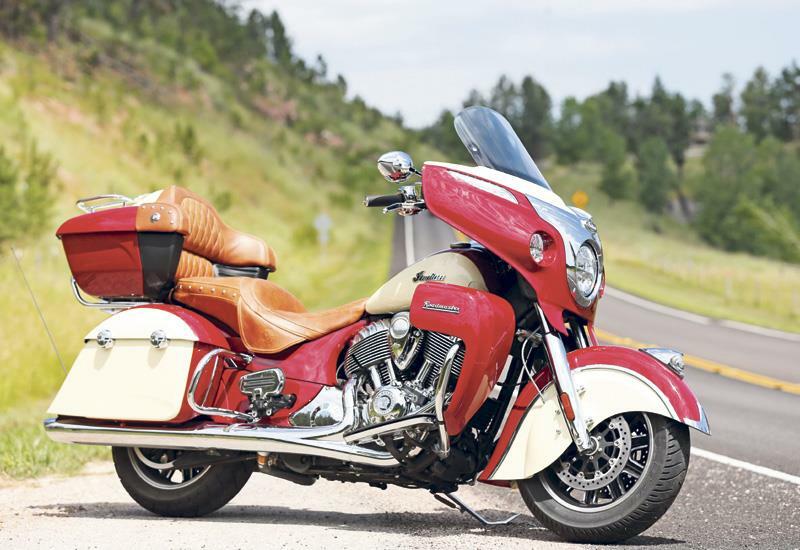 The Roadmaster is a great option if you want a full-dress tourer but aren't keen on taking the traditional Harley route. Indian's bikes are getting better and better and the level of build quality is extremely high. Tourers such as this aren't everyone's cup of tea, and they are certainly pricey, but you get what you pay for back in terms of luxury, comfort and equipment. Despite its massive street presence the Roadmaster doesn't feel a huge bike when you are onboard because, unlike a stretched out traditional cruiser, the riding position is quite short and upright. But it is heavy at 418kg and this really shows when paddling around and getting the bike off its sidestand. Once rolling the low centre of gravity makes the weight disappear and it is surprisingly nimble for such a behemoth. Low-speed control is excellent and once you get up to speed it chugs along completely unflustered while you are cosseted in one of the most relaxing spaces on any motorcycle. 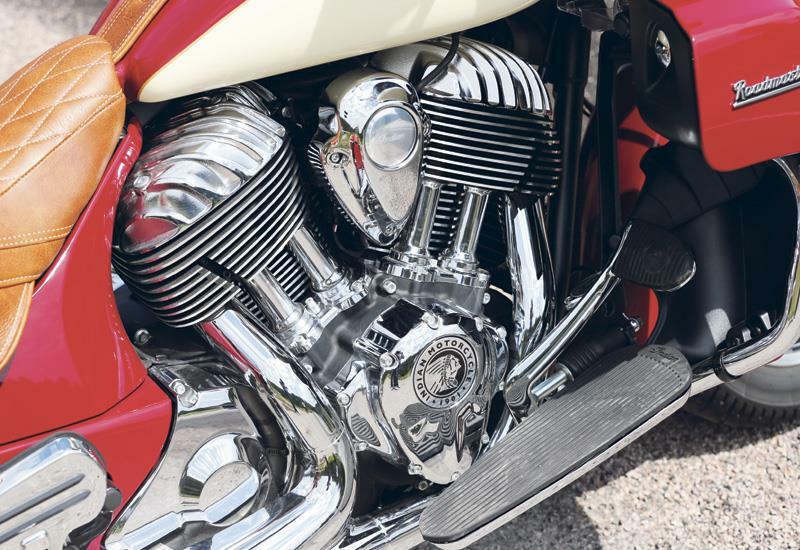 The Thunderstroke III motor ticks all the boxes for this sort of engine, delivering lots of lumpy grunt, shading the Harley in terms of sheer performance and looking great to boot. 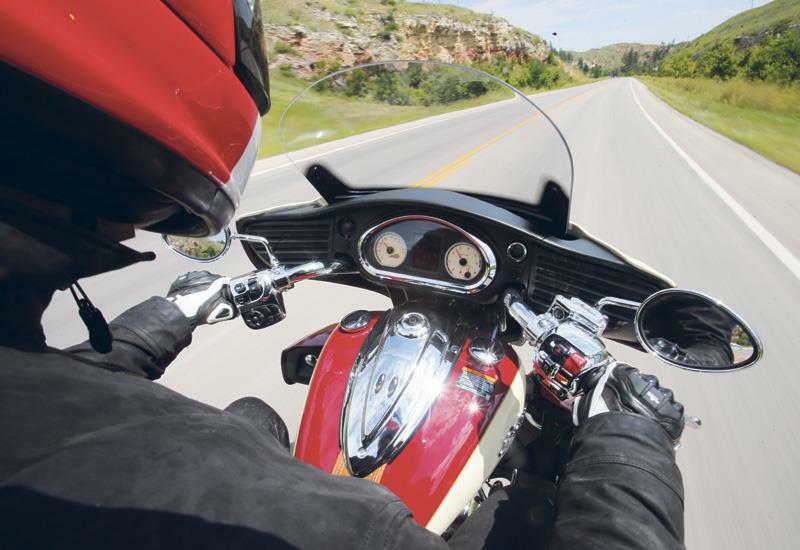 For 2019, Indian are also incorperating three riding modes across their range, which can be adjusted on the fly. These consist of Tour, Standard and Sport. A whole raft of goodies have been ladled onto the base bike, namely frame-mounted fairing lowers, a vast, 64-litre top box to match the panniers (and incorporating a pillion backrest) and a new 200w multifunction stereo. On top of those basics are a whole host of detail improvements: those fancy, genuine tan leather seats are updated and included individual heat settings; there are adjustable heated grips (ditto); an improved ‘Horizon’ electrically adjustable screen and improved ergonomics with adjustable pillion footboards. Standard equipment is just as impressive: keyless starting; central locking; tyre pressure monitoring; cruise control, LED lights; ABS, the works. 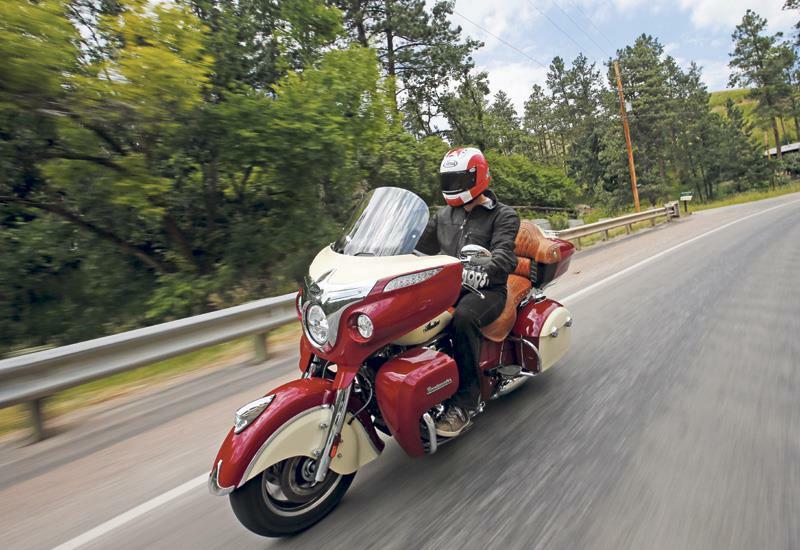 1 owner has reviewed their INDIAN ROADMASTER (2014-on) and rated it in a number of areas. Read what they have to say and what they like and dislike about the bike below. Overall it is excellent. Handles well for a big bike but is a little jittery at very low speeds. Will do approx. 140 miles on a full tank. Screen completely protects you from the wind. Handles better than expected and stops assuredly. You are issued with a pump to adjust the rear suspension and I like mine quite firm. As it is air cooled 1800 it can get a bit hot on your legs.The engine delivers smoothly and there is plenty of grunt even when fully laden. Excellent build quality.No corrosion and no breakdowns I have had the software updated once and I have just received a factory recall but this was initiated after a problem with a Polaris Quad bike. Adrian Flux insurance limited mileage £450 per year.garaged with ground anchor. All of the comparison sites were quoting £7500 as they do not know what it is. I have a Garmin satnav which will not pair and support is only for Iphones. Stereo is awesome and the is aux support for mp3 player/usb stick but the control buttons can be awkward. Mirror arms are a bit close to the grips so knuckle protectors on gloves rub.It is definitely worth spending the extra £1000 ish for the slip on exhausts as they make a much more pleasing noise. Freedom Motorcycles in March are awesome.